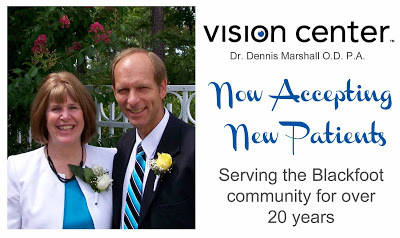 Dr. Dennis Marshall and the Vision Center have been a part of the Blackfoot health care community for over twenty years. His experience, education, and personal character, all add to the quality of care you will receive at the Vision Center. The Vision Center is the perfect fit for the whole familyCall to schedule you next eye exam today. (208) 785-3063. Se Habla Español.